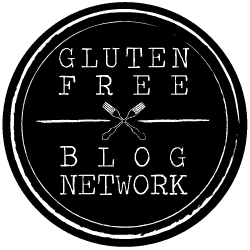 I started an account on celiac.com. Find me there! After reading several blogs and forums, I realized that so many individuals were looking for smoothies without yogurt. And, I agreed. I’m going to make a collection of smoothies without yogurt just to serve those people in need of ideas. This banana blueberry smoothie is high in fiber and protein, and low in calories and fat. Just what you’re looking for today? Blend ingredients in the following order: ice, banana, blueberries, almond butter, hazelnut butter, protein mix and almond milk, in blender or Vitamix, gradually increasing the speed from 0-8 over one minute, until creamy and smooth. I use a dry measuring cup for the ice and blueberries. I use a liquid measuring cup for the milk. To reduce the amount of foam, use a timer, and only blend the smoothie for one minute, while gradually increasing the speed from 0-8. If you try this banana blueberry smoothie recipe, let me know. You can leave a comment or take a quick photo and tag it #glutenfreeanytimeanywhere on Instagram. If you want to send me a direct message about this banana blueberry smoothie, scribble in your thoughts and hit send. To publish a comment, keep scrolling. Did you love this banana blueberry smoothie? Check out these boards and pins on PINTEREST.